In this system of 2V Battery Discharge Tester, the discharge capacity of 2V/100Ah - 2V/3000Ah lead acid cell is detected by the method of large current and constant steady DC discharge. The discharge current, discharge voltage and discharge time of termination can through panel key digital setting: Current setting range from 5A~100A; Termination voltage of discharge setting range from 1,750V~2,000V; The termination time setting range from 1min~3999min. A suitable set of discharge parameters is according to different specifications of the battery. The Battery Capacity Tester system will discharge the batteries by constant current mode and the Battery Discharge Testing data will be automatically stored according to the seting parameters before. The Battery Tester System automatically stops its discharge testing process when anyone value of the discharge termination time or the discharge termination voltage is met. Through the connection of computer RS232 interface with Battery tester system, its embedded monitoring software smartly collects the battery discharge data, and generate battery discharge characteristic curve. It is very important device of Battery Repair System in Battery Care, because it can precisely tell you the actual capacity of batteries after repaired, as well as you could quickly and correctly know which cells are defective in repaired battery banks. It can effectively reduce the waste of time, improve the efficiency of battery repair process, and very good to help us balance the battery configuration again. It is suitable for detecting discharge capacity of lead-acid batteries with cell 2V/100Ah to 2V/3000Ah. Widely used in communications (such as telecommunications, China Unicom, mobile, CNC, CTT, etc. ), power, finance, national defense, transportation and other sectors and sectors of the reserve power system, battery discharge capacity testing. The utility model can accurately detect the actual capacity and discharge characteristics of each single cell, so as to conveniently re-configure the batteries. Looking for ideal Battery Tester System Manufacturer & supplier ? We have a wide selection at great prices to help you get creative. All the Battery Repair System in Battery Care are quality guaranteed. 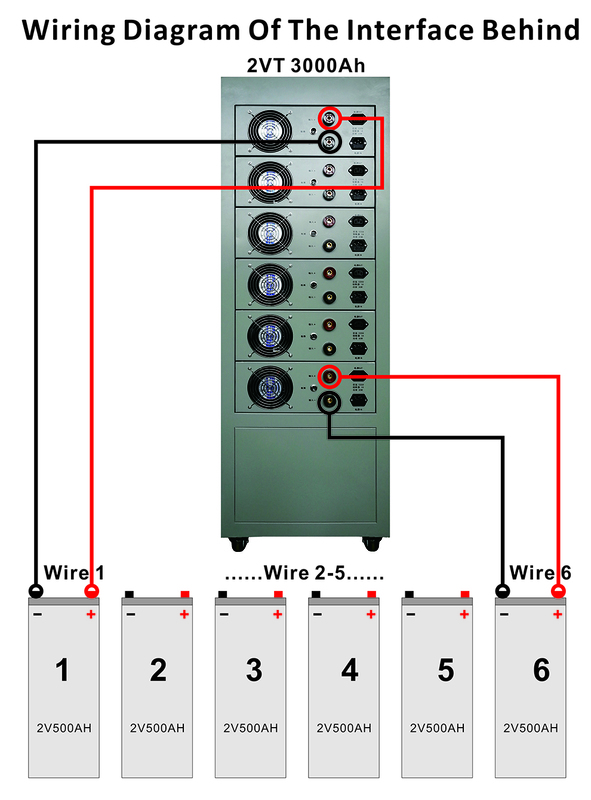 We are China Origin Factory of Battery Capacity Tester. If you have any question, please feel free to contact us.